As the proceedings of the National Reconciliation Commission (NRC) winds down, more opportunities are being offered persons allegedly accused of certain wrong-doings to cross-examine those who made those allegations. 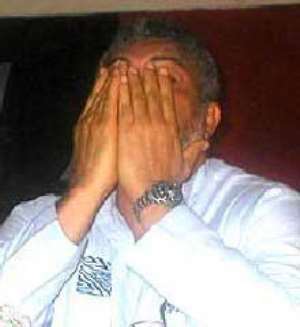 One issue that continues to linger is how far ex-President Jerry Rawlings knew about the reports of torture and if he did not know, what he did when he got to know of those accounts of torture. Quite a number of these tortures were brought to the attention of the then Flt. Lt. Rawlings, as Chairman of the then Provisional National Defence Council (PNDC). Dozens of human rights groups in 1986 wrote to the PNDC Chairman, with copies of reports of the tortures of Mawuli Goka and the rest, as published in the West Africa Magazine. The groups appealed to the PNDC Chairman to investigate the reports, written by its then Correspondent in Ghana, Ben Ephson. The fourth accused, Samuel Boamah Panyin told the Tribunal; “I was beaten with an object like a barbed wire and some hot metal plate being used on my body and something like a knife being used in cutting my chest. My nails were removed from both fingers and toes.